Takeaway: The best way to avoid tempdb GAM and PFS contention caused by table-valued parameters (TVPs) is to use Memory-Optimized Table Variables. 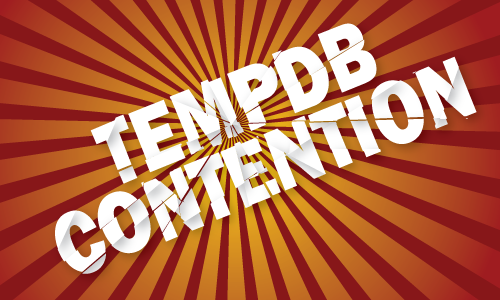 SQL Server 2014 can eradicate tempdb contention and I didn’t even know it. Just yesterday I was saying that if I could have my one SQL Server wish, it would be to use table-valued parameters at high frequency without suffering from tempdb latch contention on GAM or PFS. Then, I saw Jos de Bruijn’s article Improving temp table and table variable performance using memory optimization. He pointed out how In-Memory OLTP can alleviate excessive tempdb use. 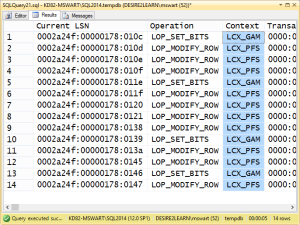 The piece that I was most interested in involves SQL Server 2014’s Memory-Optimized Table Parameters. Jos describes them as a great solution for “workloads that intensively use TVPs”. Any procedures that use the new table type BIGINTSET_OLTP will not touch tempdb. It seems pretty easy doesn’t it? In this example, the reason I don’t just replace the existing type is because I want to be very deliberate about choosing memory optimized parameters. By adding a new table type, I make that choice in each procedure or query on a case by case basis. To see whether this technique avoids hitting tempdb as advertised, I wrote this demo. But I see that memory-optimized queries avoids all tempdb activity. It’s not just the logging activity that’s avoided, all tempdb activity is avoided. The tempdb is simply not touched in this case. This mainly addresses tempdb contention experienced by workloads with extremely frequent TVP use (thousands per second). In SQL Server 2014, memory-optimized table variables precludes the use of parallel queries. As the feature name suggests, the temp tables live in memory. Luckily the high frequency described by the first caveat means that the queries I use must be as lightweight as possible. And that means that I don’t mind the second or third caveat so much. Aaron Bertrand dives deeper on the performance of Memory-Optimized table variables at Hekaton with a twist: In-memory TVPs – Part 3. In the past, my colleagues and I have been incredibly frustrated at this bottleneck. A bottleneck that could not be fixed, not even with dollars. And so I’m looking forward to this feature more than any other single feature introduced in 2014 or 2016. We vendors are often constrained to use only those features present in every SQL Server version we support. In my case, it will be a while before we de-support SQL Server 2012 but that day will be like Christmas. What’s Going On Inside Tempdb? Thanks, that day will be sooner than later for us I hope.